At least 93 people were arrested, while 172 others were detained on Wednesday, according to Turkish news agencies. Police carried out the operations in 30 provinces across Turkey. With most of the arrestees being academics, those arrested over the past day also included teachers, state workers, university and court personnel. Among those detained are small business owners, housewives, state workers, lawyers, court personnel, teachers, national intelligence personnel and a branch head of an air organization. Meanwhile, a total of 540 military officers from across Turkey were suspended over alleged links to the Gülen movement. 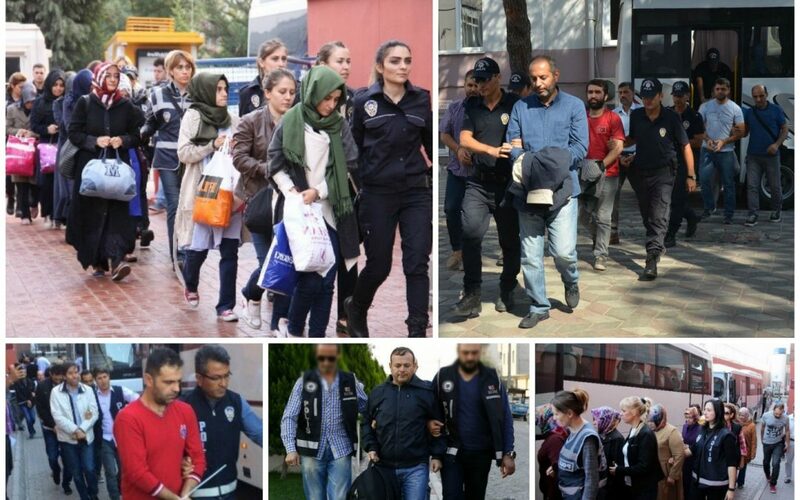 The victims of Wednesday’s operations carried out as part of the massive purge have been added to the already-enormous group of people who have been either detained or arrested since July 15. Critics argue that lists of Gülen sympathizers were drawn up prior to the coup attempt.